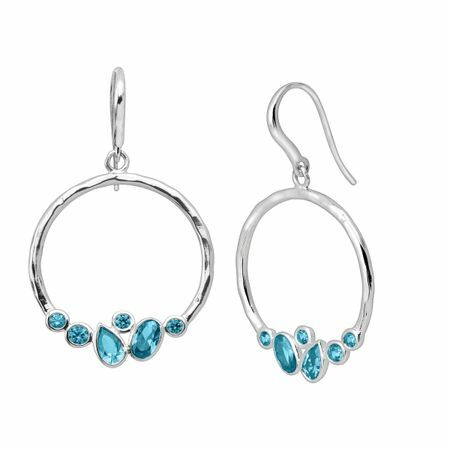 Bright blue aquamarines in a variety of cuts and sizes are dotted along the base of these circular drops, crafted in sterling silver. Earrings measure 1 5/16 by 7/8 inches and feature French wire back findings. Pieces come with “.925” sterling silver quality stamps as symbols of guaranteed product quality.